Highlight what makes you unique to hundreds of thousands of people on Ever Loved—for free. Claim your page so you can control the content and imagery. Add more information to your page to help showcase what makes you unique. Pages that have been edited get 3x as many views on average. Move yourself to the top of the listings in your service area. Pay only when you receive phone calls (1 min+) from our website. It's no risk. The first 2 calls are free and you can cancel anytime. Plus, everything included in the free tier. Interested in becoming a premium partner? Let's connect! 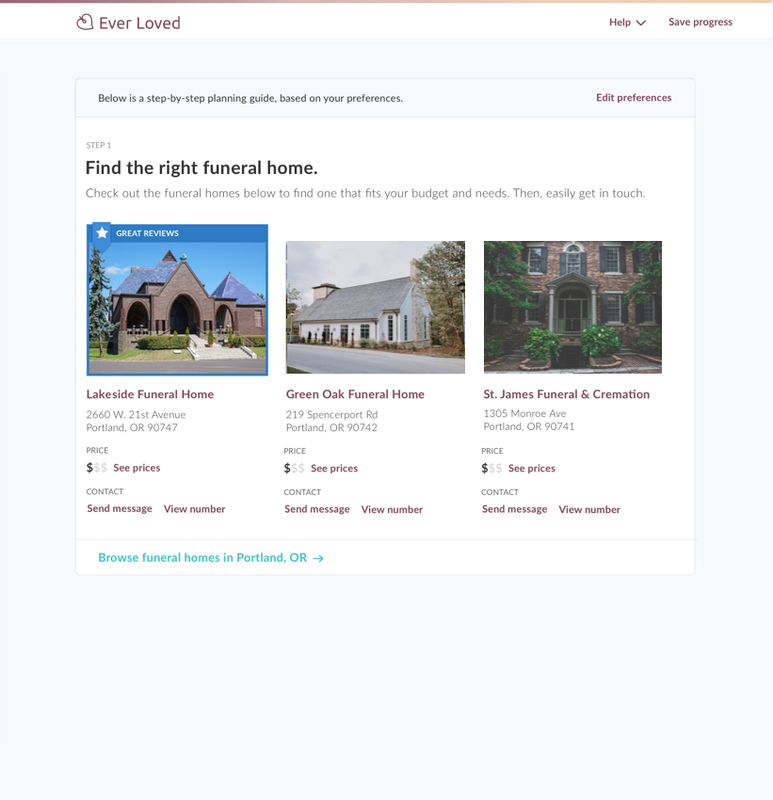 At Ever Loved, we make it easy for families to find the funeral homes that best fit their needs—and easy for funeral homes to attract more families. 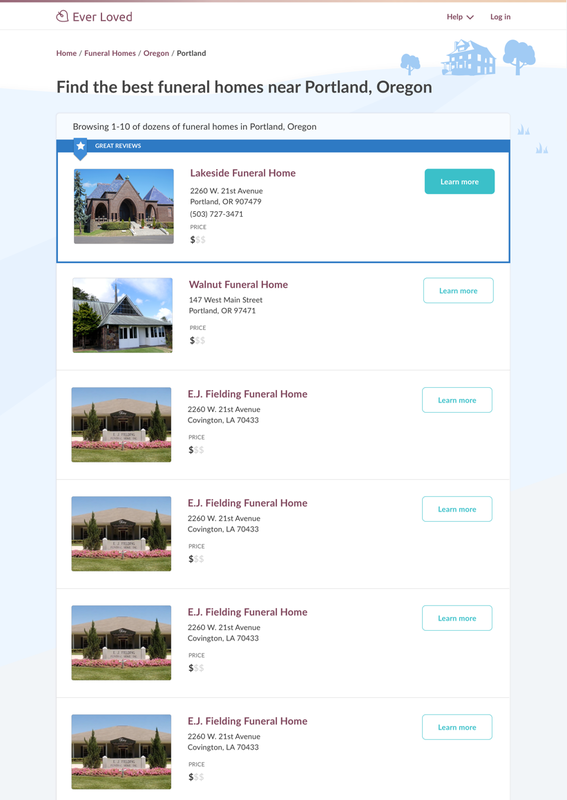 Free: Enhance your page to best showcase your funeral home. 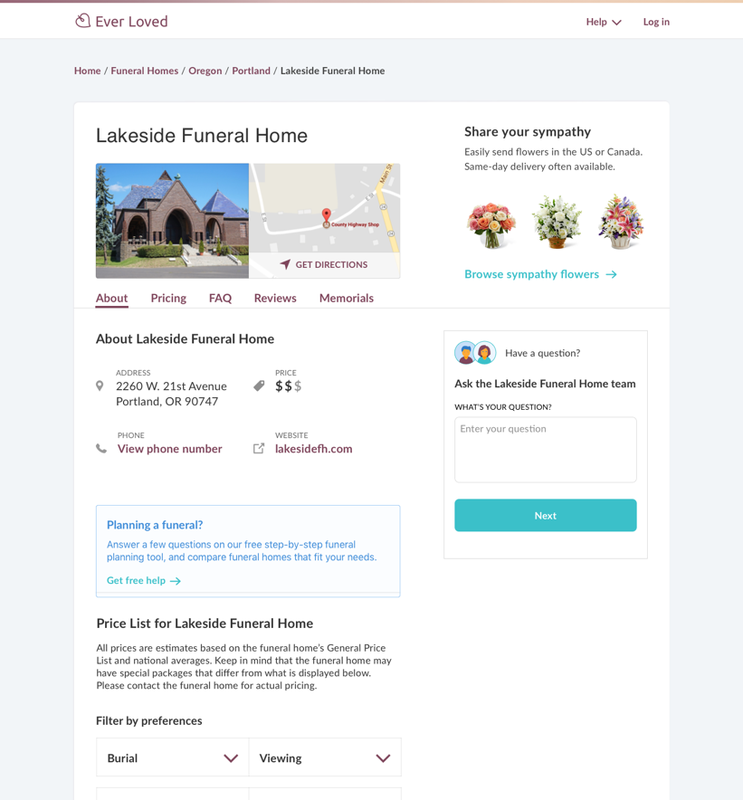 Premium: Be featured at the top of funeral home listings. Premium: Get a sponsored spot in relevant funeral planning results. Ever Loved makes it easy to create beautiful memorial websites and online funeral announcements—completely for free. Help your families set them up, so they can easily share funeral details, memories, and more.